Please give generously, both of prayers and funds, to lift up this loving family and help bring child Dhanesh home well and recovered. 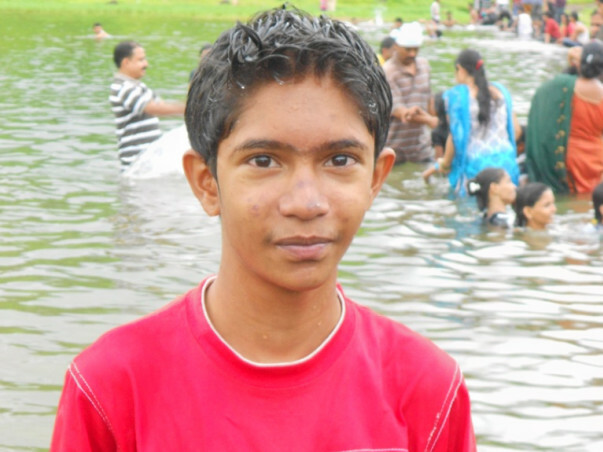 On Novermber 25, 2015, Dhanesh( 16 years old) was admitted in ICU Fortis Hospital at Mulund with a diagnosis of cerebral abscess on a background of Cynotic heart disease. He underwent Neuro surgery for abscess drainage and in ICU on a ventilator. Till 25th December, 2015 his hospital expenses were Rs. 11.35 lakhs and he was discharged to home. With the treatment still going on at home with two nurses appointed for 24 hours, he suffered from abscess getting from stitches on his right part of the head. Hence was readmitted in Fortis hospital on 7th January,2016. He had underwent a minor brain surgery again to drain out the cerebral abscess. And Dhanesh is still unconscious after the surgery in ICU on ventilator. Expenses are Rs. 3.5 lakhs after being readmitted. As the expenses were increasing beyond the limit he has been now shifted to government hospital J.J. hospital at Byculla on 16th January, 2016. It is expected for the complete recovery to be hospitalized for next few months as per doctors observation. Father Mr. Arun Dhondiram Manjrekar is an employee in Godrej Company Ltd. at Vikhroli. He has been unable to go to office since this incident and has to stay with Dhanesh at hospital. His mother Mrs. Amruta Arun Manjrekar is a house wife. Both the parents are unable to work and need to be at hospital and hence facing loss of income. To continue his treatment the rough expenses required could be between 9-10 lakhs further. Friends, Family and relatives are rallying around Dhanesh and asking everyone to please give generously, both of prayers and financial assistance, so that we may lift them up during this challenging time. If anyone knows trusts that provides funds for such patients long term treatment, please let us know with details. This will be very helpful. Thank you to everyone who has sent love and prayers. Please use this website to continue to show your support with well wishes and donations. What do I plan to do with the funds? 1. Funds received can be used primarily for his further long term treatment which may include all medicines, antibiotics, hospital expenses,etc. at hospital. 2. Secondary use can be made for his parents accomodation and daily food expenses. Clarify any doubts you think your supporters might have. 1. How long the treatment will be required? Ans. As he is suffering from congenital heart disease, he has less immunity to fight and respond to strong antibiotics given to him. So accordingly doctors said it may take around 3-4 months and even more..
2. How should we believe that its true? Ans. We have uploaded the photos of medical reports and also a letter from Fortis hospital regarding his treatment. 3. How to donate for the child? 3. Where should we contact to know about him?